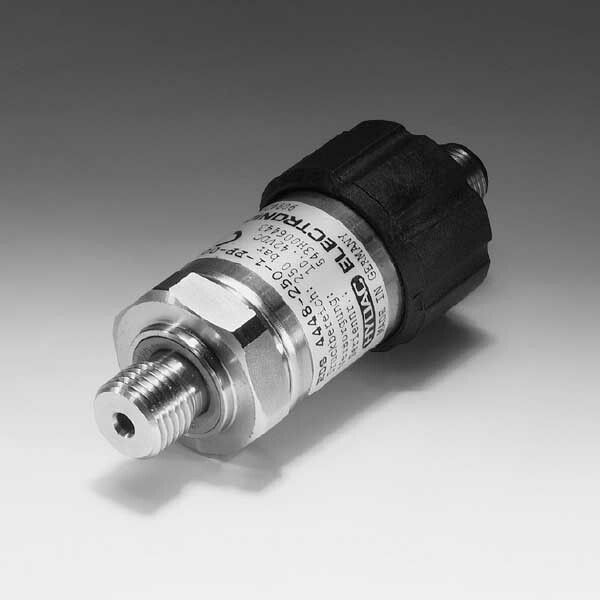 The programmable electronic pressure switch in the series EDS 4400 combines the advantages of a compact, robust and cost-effective device with the benefits of a programmable pressure switch. What’s more, it is easy to program the EDS 4400 using the HPG 3000 programming unit. Indeed, once there is a disconnection of the programming unit from the EDS 4400, the pressure switch retains all the settings. Therefore, this prevents unauthorised or incorrect adjustment of the settings. The EDS 4400 is suitable for high-pressure applications (starting at 40 bar) and has a pressure measurement cell with thin-film strain gauge on a stainless steel membrane. Furthermore, in contrast to pressure switches which are factory-set according to customer requirements and are not field-adjustable, the programmable EDS 4400 is highly versatile and replaces a wide range of models. This is advantageous in respect of stock management.